César Franck (1822 – 1890). L'Organiste (Organist) FWV 41. A Cycle of Pieces for Harmonium or Organ. Transcription for Bayan (Accordion) by Anatoly Semeshko. César Franck. Seven pieces in C major and C minor. César Franck. Seven pieces in D flat Major and C sharp Minor. César Franck. Seven pieces in D major and D minor. César Franck. Seven pieces in E-flat major and E-flat minor. César Franck. Seven pieces in E major and E minor. César Franck. Seven pieces in F major and F minor. César Franck. Seven pieces in F-sharp minor and G-flat major. César Franck. Seven pieces in G major and G minor. César Franck. Seven pieces in A-flat major and G-sharp minor. Video demo: César Franck. Seven pieces in C major and C minor. Video demo: César Franck. Seven pieces in E-flat major and E-flat minor. Video demo: César Franck. Seven pieces in E major and E minor. Video demo: César Franck. Seven pieces in F-sharp minor and G-flat major. Video demo: César Franck. Seven pieces in A-flat major and G-sharp minor. Dear colleagues! This edition is addressed to studying youth. It is a small unique fragment of creative activity by César Franck (1822-1890) - an artist, who is an unquestionable leader in developing the French symphonic and instrumental chamber music of the second half of the XIXth century. Quite massive, but unfortunately unfinished and practically forgotten cycle by C.Franck "L'Organiste" was being created in parallel with the other well-known triad "Three Chorales for Organ" during the final one and half - two years of composer's life (death was the reason, as investigators of art by Master think, that the cycle was not finished). According to the composer's plan, composition was to be performed on harmonium or so-called small organ. The first publication of the last Franck's masterpiece was done after composer's death in Paris in 1905. To our view, the uniqueness of the cycle by C.Franck, which is presented on the pages of this edition is not just in its "rebirth", discovery for young performers, but in the fact, that the instrument for which it was written - harmonium - by its construction and the nature of making the sound, was practically the predecessor of the modern accordion or bayan. All existing musical encyclopaedias and handbooks witness about it. Namely this fact of extraordinary importance pushed us to the idea (maybe somewhat unexpected on the first glance) that all the compositions, that were written in the XIXth century for harmonium by such grands of world music as C.Franck, F.Liszt, C.Saint-Saëns, L.Boëllmann and others we can absolutely straightforwardly consider as ORIGINAL classical bayan-accordion repertoire of unique bright romantic colouring. C.Franck's "L'Organiste" consists of 63 pieces and includes 9 independent mini-cycles (suites). Every contains seven independent pieces. Besides, each seventh (final) piece of every suite accumulates thematic material of all the previous six parts. Curious and absolutely evident is such a detail: each of mini-cycles is built by author on a precise sequence of a chromatic scale (C - Cis - D - Dis and so on). The cycle breaks off on "Seven pieces in A-flat major and G-sharp minor". All pieces of the cycle are not difficult, but are various in character. One can meet compositions with polyphonic nature as well as of songs-like type. Despite the modest aim and little scale, the pieces are full of magic poesy. One can feel the hand of a true and unique Master, the particular style of Franck: his typical harmonic and melodic writing, freedom of modulations, tonal variability. As a contemporary of Franck, famous French organist Louis Vierne told "the generosity of Franck's invention is simply wonderful: inimitable by richness polyphony, in which the melody, the harmony and the architectonics compete in originality, - is a thrilling discovery, lit up by a sparkle of a true genius". So, dear colleagues, do not miss the happy opportunity to carefully examine the last unique masterpiece by great César Franck. I'm sure - you will not regret! I wish you pleasant aesthetic impressions and inspiration in making music! Anatoly Semeshko (01.08.1949, Apostolovo, Dnipro province, Ukraine) is a famous Ukrainain bayanist, teacher, methodologist, active participant of modern social musical movements. He is an Honoured Artist of Ukraine (1993), Professor (1993), Academic of Petrovsk Academy on Sience and Art (Russia, St.Petersburg, 2007), prize-holder of "Silver Disc" of Gnesins Russian Academy of Music, secretary of Ukrainian National Musical Union, President of Association of Bayan and Accordion Players of Ukraine. Anatoly Semeshko is laureate of all-Ukrainian (1977, Kyiv, 1st Prize) and diploma holder of the 1st all-Union bayan-accordion players competitions (1979, Novosibirsk, USSR). He went on tours as a soloist as well as a participant of prefessional groups in many countries of Europe, Asia and America. Anatoly Semeshko is the 1st performer of such compositions: V.Zubitsky "Jazz-Partita No. 1", A.Beloshitsky "Suite No. 2 - Romantic", Yu.Shamo "Sonata No.1", "Partita-Piccolo", "Concert Diptych", "Variations", "Improvisation and Burlesque", "Children Suite". During the years of pedagogical activity Anatoly Semeshko brought up the pleiad of skilled performers, conductors, teachers. Amongst them are: People's Artist of Ukraine, Shevchenko National Prize laureate, artistic director and chief conductor of National Honoured Academic Orchestra of Ukraine V.Sirenko, Merited Artists of Ukraine A.Ivchenko, V.Oliynyk, laureate of Kazakhstan State Prize, Merited Artist of Tatarstan D.Sultanov, laureates of many prestigious international competitions K.Zhukov, B.Myronchuk, V.Marunych, D.Zahorodny, O.Kolomiyets, D.Tylko, M.Hruzynsky, A.Tonkonogh and other. Anatoly Semeshko is a main initiator and artistic director of the 1st in Ukraine International Bayan-Accordion Competition "Cup of Kryvbas", Vice President of International Competition-Festival of Professional Art of Bayan-Accordion Performance "Acco Holiday". Anatoly Semeshko is a member of numerous national and international competitions, participant of international seminars and congresses of Confédération Mondiale de l’Accordéon. He was awarded two times with Honoured Diploma of this organisation for achievements in the sphere of musical pedagogics and for preparing the winner of "Coupe Mondiale" (1995, 2001). 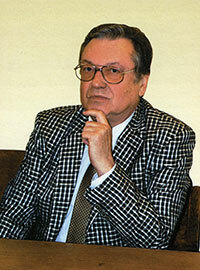 Anatoly Semeshko is an author of numerous publications. Amongst them are: monographs, tutorials, books, chrestomathies, booklets and other. 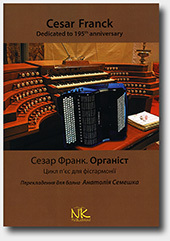 As an editor-compiler, author of transcriptions, forewords, comments and methodological recommendations he prepared and published the whole series of compilations of concert and pedagogical repertoire (around 50). He is an author of articles in press and specialised publications, both domestic and foreign.